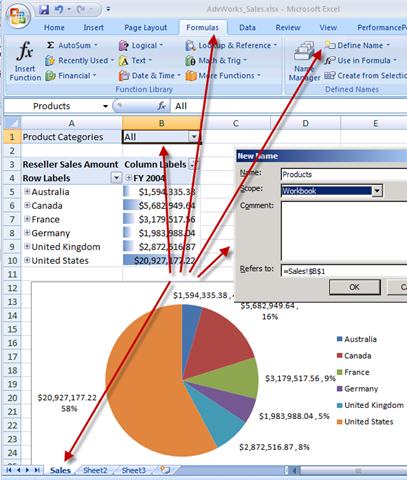 UPDATE (10/1/2010): I corrected the image of the screenshot for configuring the Products parameter in the Excel file. 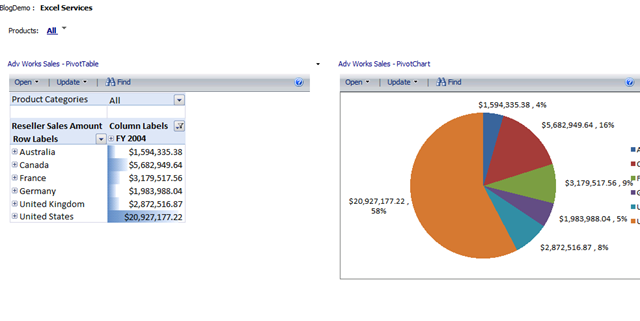 I originally had one displayed with DateFiscal for the setup instead of the one referencing Products. I apologize for that. If you wanted to do one for DateFiscal you would need to setup the named range for Sales!$B$4. One of the nice features about creating dashboards with PerformancePoint Server (PPS) is the ability to incorporate different types of reporting types like Analytical Grids/Charts, SQL Reporting Services Reports (SSRS), ProClarity Analytical Views, and Strategy Maps. 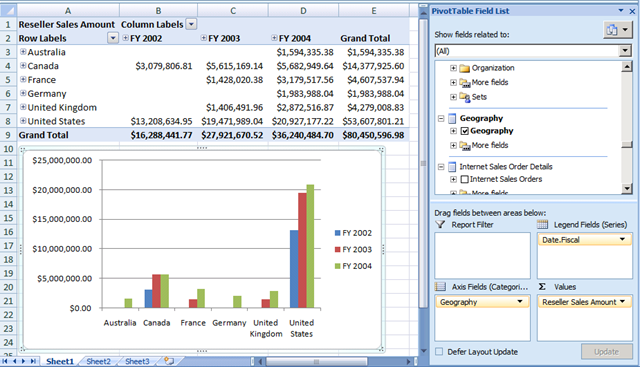 Another one is being able to leverage Excel Services. 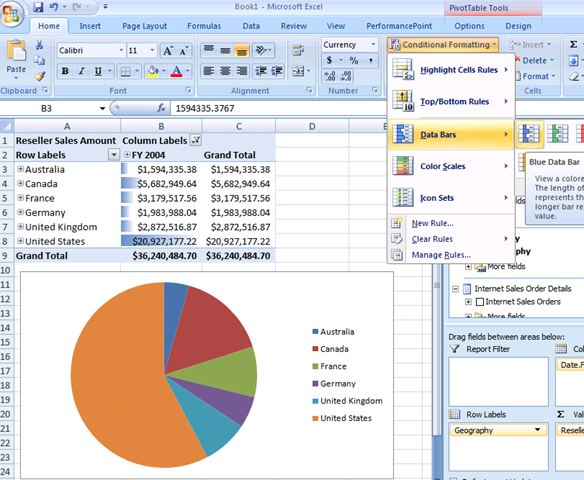 As we all know Excel is one of the most widely used tools, so it only makes sense that at some point we will probably want to be able to integrate an existing Excel file within the organization. 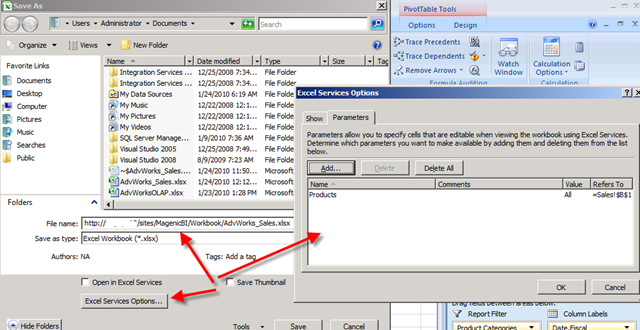 The first thing that you will need to do ahead of time before you are able to do this is enable Excel Services on SharePoint 2007 and configure it. 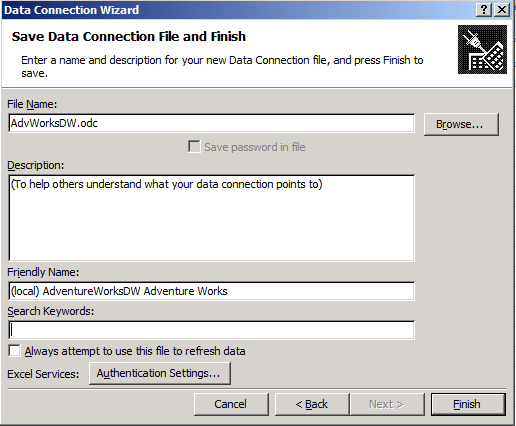 If you are unfamiliar with this process you can check out this reference – Demo: Enable Excel Services and data connections for a SharePoint team site and check the video and download it for reference. 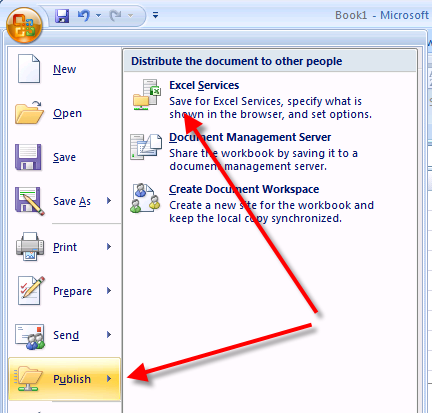 NOTE: Excel Services is an Enterprise feature within SharePoint Server. 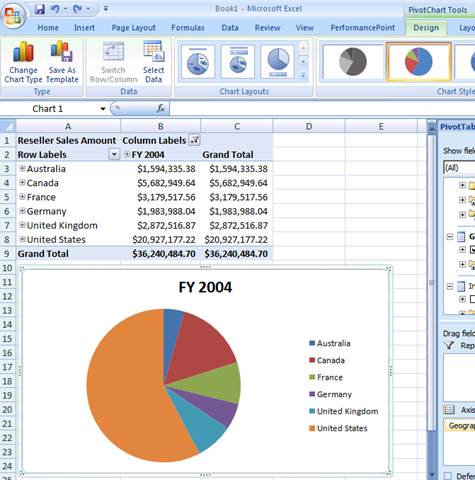 Once you have Excel Services configured you will then need to create the Excel file with the items that you would like to include in your dashboard. 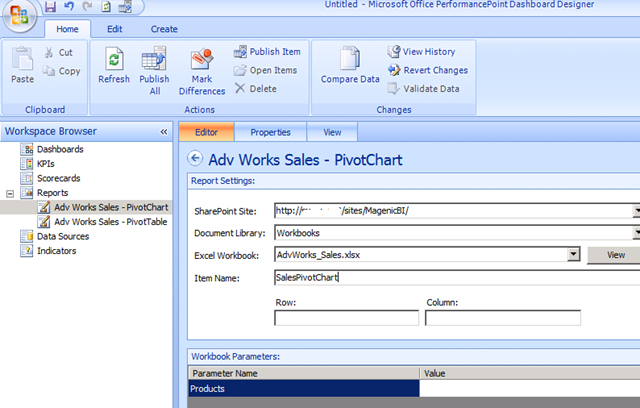 In this example I will be using Analysis Services as the data source (the ever famous Adventure Works DW) and will create an Excel PivotTable and PivotChart. 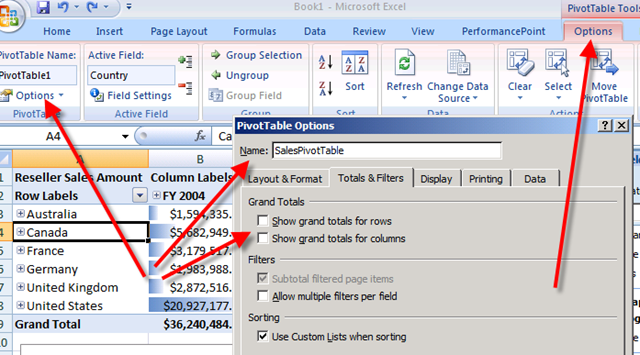 These two Excel items will then be made available in SharePoint (Excel Services) for reference by the PPS dashboard that will then be connected to dashboard filters. 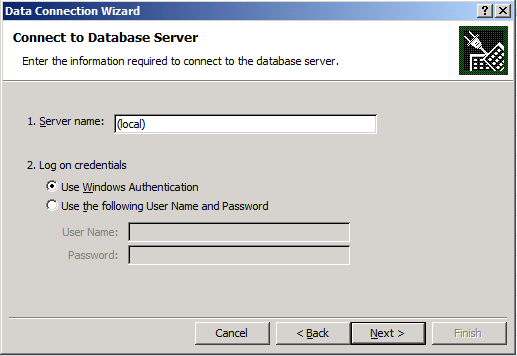 NOTE: this demonstration is using a virtual environment that is setup in a standalone configuration (meaning everything is installed on the server – SQL Server, PPS, SharePoint, etc.). 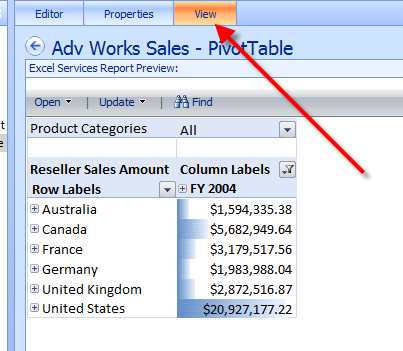 NOTE: If you don’t see the Excel Services parameter in Dashboard Designer it is most likely because in the Excel filter you have multiple values selected. 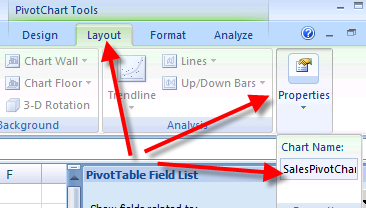 Go back into the file and make sure only one item is selected so that it will be recognized and pulled into the parameters section in Dashboard Designer. This entry was posted on January 24, 2010 at 8:18 pm	and is filed under PerformancePoint. 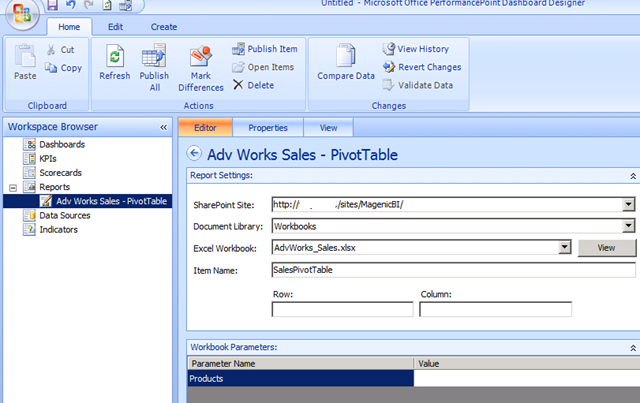 Tagged: excel services, performancepoint, sharepoint. You can follow any responses to this entry through the RSS 2.0 feed. You can leave a response, or trackback from your own site. Great article first of all. 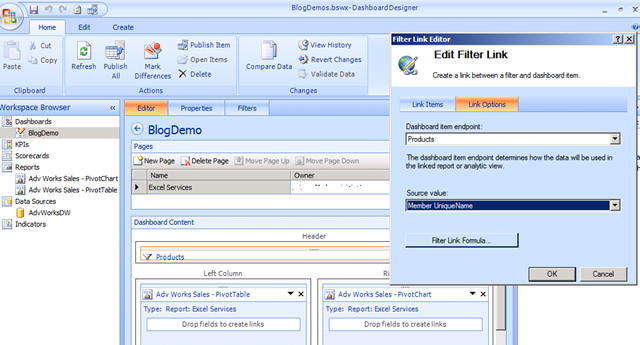 I also assumed that prior to linking filter to the reports you created one with the filter dimension: Product.Category and added it to the dashboard in the header zone (what is visible from the screen shoot). In your article (in the screen shoot) you had Filter Link Editor to create link between filter and the reports. The only way I was able to do similar thing is by setting up connection between parts by using Connection dialog (selected Create Connection in the part action menu). Any Idea why I did I go wrong? It is possibly because of your filter you created. I set mine up using the member selection against the ‘Product.Product Categories’ hierarchy. Try using this instead. 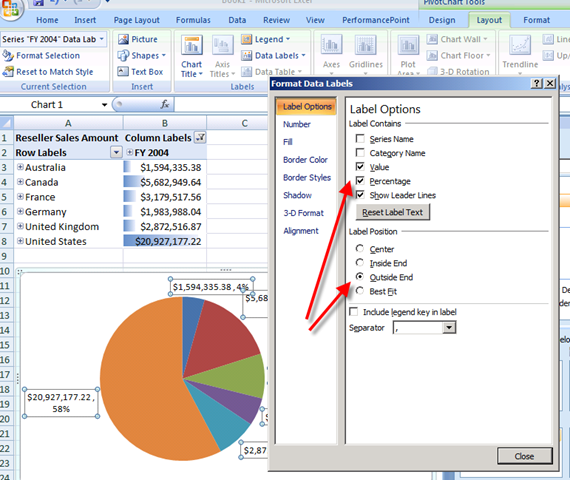 Your end-point will be the Products on the Excel Report and then using the Member UniqueName. Let me know if that does not work for you and I can send you my workspace file if needed. I should have included my files for reference. I am going to be doing another posting using an SSRS SharePoint report in another posting and I will make sure I include my files this time – I will bundle them all together. 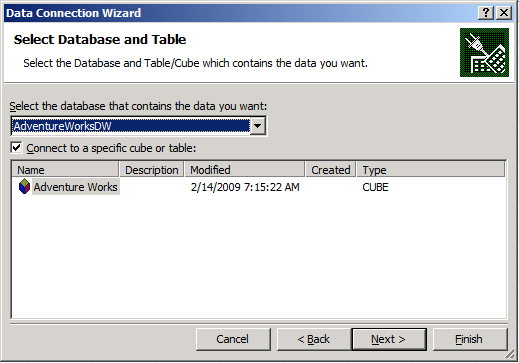 Hello, I have this error: ” An error occurred while attempting to set one or more of the parameters in this workbook. As a result, none of the parameters have been set. 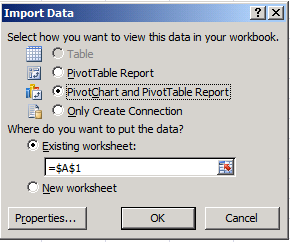 My data source is a table, I created a pivote table and chart. 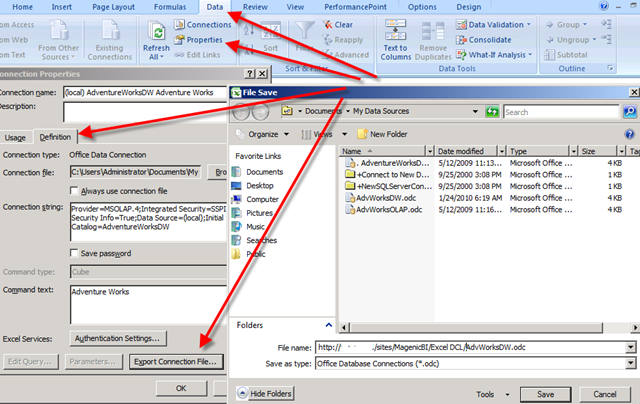 Upload the file to Sharepoint, created filter and reports In the same way as mentioned Dragan, but I can’t find solution.